The Dark red Four door came to us as a running swap. After the customer had a bad experience with the shop that previously performed the engine swap we went over his jeep and decided the best route was to start from scratch. We started by removing the mess of wiring that was previously done and cleaning up and organizing it as it should have been done in the first place. 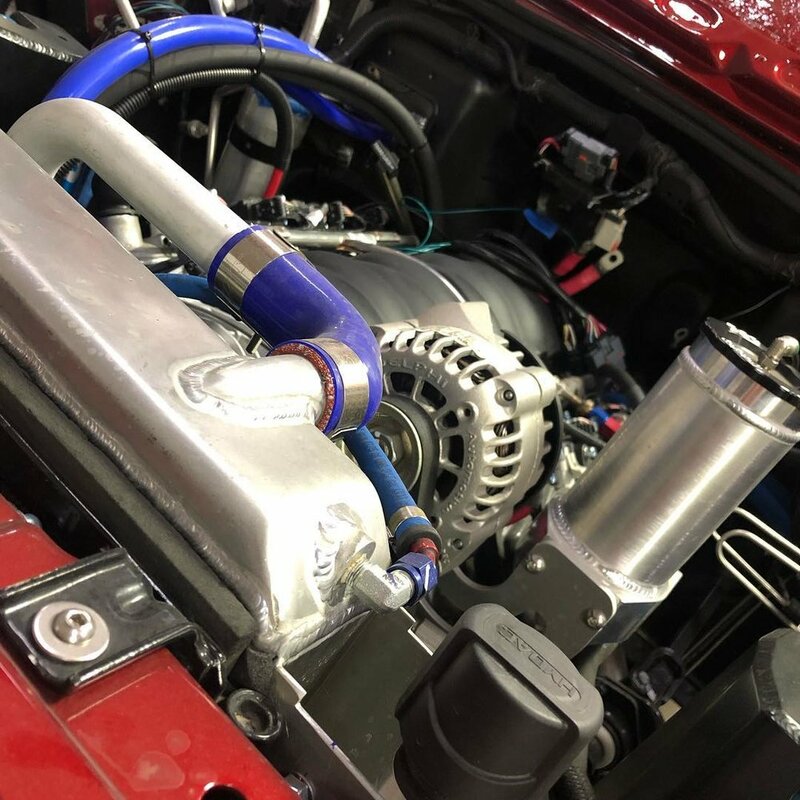 We then proceeded to install our harness, while we were in the engine bay we installed our custom grind cam kit with a C7r timing chain upgrade and ARP crank and cam pulley bolts, topped off with Wegner Motorsports Billet valve covers and a FAST 102mm intake. This one also got our Ron Davis cooling package with an LS oil cooler kit and trans cooler. To match the engine we swapped out the converted for a custom stall billet converter to wake up the throttle response. We also installed a set of Magnaflow headers and a stainless dual exhaust to match with dual Magnaflow mufflers. We built a custom 4 inch aluminum intake as well to allow the engine to breathe easier. This Jeep has since had a Genright Off-road rear mounted gas tank installed as well as a custom triangulated four link.